A graveside service was held at 2 p.m. Saturday, April 6 at Ocean View Memory Gardens, followed by a family gathering at her daughter's house. 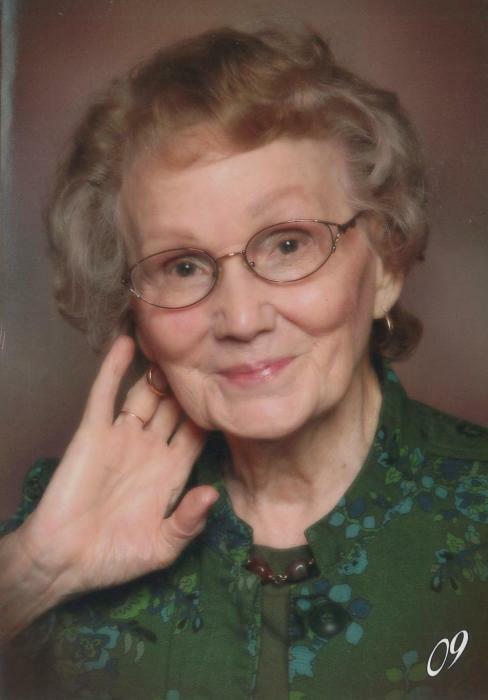 Blanche (Grant) Thomsen was born May 19, 1923 in Malvern, Ark., to Walter and Annie Grant. She died March 10, 2019 in Coos Bay. She was 95 years old. Blanche married Dennis Rowland in 1945. They had two daughters before moving in 1951 to Oregon, where their third daughter was born. Blanche attended the licensed practical nursing program at McAuley Hospital in Coos Bay in 1956. She worked as an LPN at McAuley for 17 years then worked in the emergency department at Bay Area Hospital from the day it opened until her retirement in October 1986. Blanche married Keith Thomsen in 1987. She lived in North Bend for 68 years, moving to Inland Point Assisted Living in 2014. Blanche enjoyed sewing, making several quilts, all hand sewn for her children and grandchildren. She also loved to cook and bake for her family. She made the best blackberry jam and cobbler. She also loved to work in her yard, always having flowers, especially roses and dahlias. She is survived by daughters, Dianna Bell, Bette Hendrix and husband, Carl, and Denise Partney and husband, Scott; granddaughters, Theresa and Ed Watters, Angela and John Bell, Stacey and Vincent Shelton, and Alisha and Jimmy Dias; grandsons, Shane and Sarah Hendrix, Matthew Partney and Ben Cotner, and Justin and Natashua Partney; 11 great-grandchildren; nine great-great-grandchildren; youngest sister, Melba Jean Wilcox; and many nieces and nephews. Blanche was preceded in death by her parents, 12 siblings, Dennis Rowland and Keith Thomsen.